One of the key building blocks of the MeshGuard intelligent network of connected sensors, the Honeywell Analytics MeshGuard is a battery-powered wireless gas detector. The MeshGuard network is used for gas detection in oil and gas applications, as well as industrial safety. The MeshGuard system has been designed for rapid deployment in areas where low cost/high ROI solutions are required. Toxic and flammable gases are detectable with the MeshGuard, which also has field replaceable precision sensors. D01-M144-203	MeshGuard Hydrogen Sulfide Compliance Kit 6x H2S Detectors + 1x Router Disposable batteries needs to be ordered separately. See also *note below. Minimum 15 disposable batteries are recommended to be ordered seperately. D01-M044-203	MeshGuard Hydrogen Sulfide Extension Kit (same as Compliance Kit w/o controller) 6x H2S Detectors + 1x Router Disposable batteries needs to be ordered separately. See also *note below. Minimum 15 disposable batteries are recommended to be ordered seperately. D01-M140-003	MeshGuard Hydrogen Sulfide Compliance Kit 4x H2S Detectors Disposable batteries needs to be ordered separately. See also *note below. Minimum 12 disposable batteries are recommended to be ordered seperately. D01-M188-203	MeshGuard Carbon Monoxide Compliance Kit 6x CO Detectors + 1x Router Disposable batteries needs to be ordered separately. See also *note below. Minimum 15 disposable batteries are recommended to be ordered seperately. 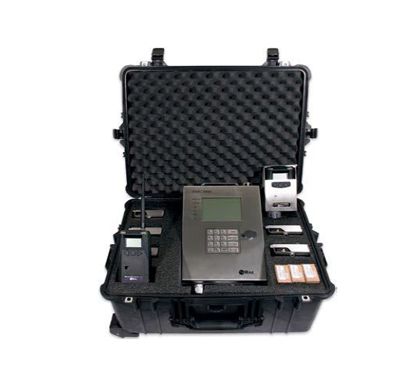 D01-0001-001	MeshGuard LEL Kit including external powerpaks (comes in 3 ruggedized transportation cases) 4x LEL Detectors Disposable batteries needs to be ordered separately. See also *note below. Minimum 8 disposable batteries are recommended to be ordered seperately. 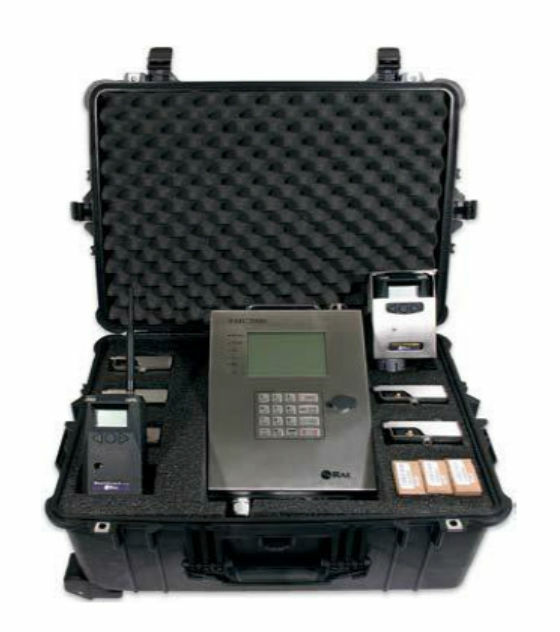 D01-0002-001	MeshGuard LEL and H2S Kit including external powerpaks (comes in 3 ruggedized transportation cases) 4x LEL Detectors + 4x H2S Detectors Disposable batteries needs to be ordered separately. See also *note below. Minimum 8 disposable batteries are recommended to be ordered seperately. 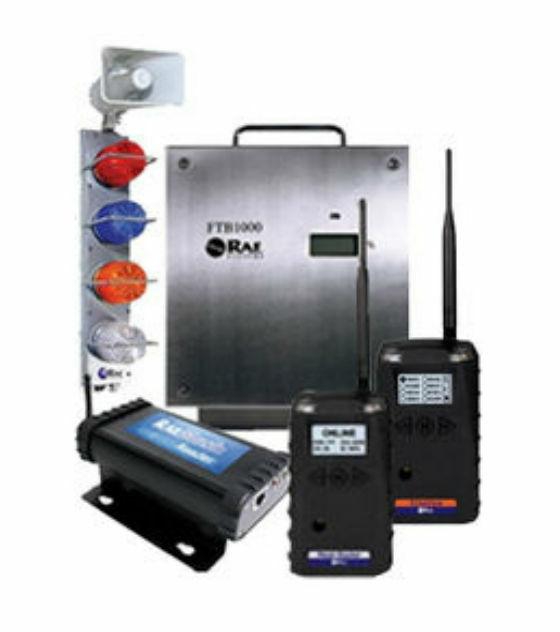 W021-0020-000	RadiantReader Real Time Wireless Communication. Modem Mesh 2.4GHZ. STD. W021-0030-000	RadiantReader - Russia Real Time Wireless Communication. Modem Mesh 2.4GHZ. STD. D01-B001-011	MeshGuard Detector, Hydrogen Sulfide H2S Range: 0.1 to 100 ppm Disposable batteries needs to be ordered separately. See also **note below. Minimum 1 disposable battery is recommended to be ordered seperately. D01-B00G-011	MeshGuard Detector, Flammables LEL* Range: 1 to 100% LEL Disposable batteries needs to be ordered separately. See also **note below. Minimum 1 disposable battery is recommended to be ordered seperately. D01-B00J-011	MeshGuard Detector, Flammables LEL IR* Range: 1 to 100% LEL Disposable batteries needs to be ordered separately. See also **note below. Minimum 1 disposable battery is recommended to be ordered seperately. D01-B003-011	MeshGuard Detector, Carbon Monoxide CO Range: 0 to 2000 ppm Disposable batteries needs to be ordered separately. See also **note below. Minimum 1 disposable battery is recommended to be ordered seperately. D01-B00P-011	MeshGuard Detector, Carbon Dioxide CO2 Range: 0 to 5% vol Disposable batteries needs to be ordered separately. See also **note below. Minimum 1 disposable battery is recommended to be ordered seperately. D01-B00Q-011	MeshGuard Detector, Carbon Dioxide CO2 Range: 0 to 100% vol Disposable batteries needs to be ordered separately. See also **note below. Minimum 1 disposable battery is recommended to be ordered seperately. D01-B00D-011	MeshGuard Detector, Oxygen Range: 0 to 25% vol Disposable batteries needs to be ordered separately. See also **note below. Minimum 1 disposable battery is recommended to be ordered seperately. D01-B00A-011	MeshGuard Detector, Ammonia NH3 Range: 0 to 100 ppm Disposable batteries needs to be ordered separately. See also **note below. Minimum 1 disposable battery is recommended to be ordered seperately. D01-B008-011	MeshGuard Detector, Chlorine CI2 Range: 0 to 10 ppm Disposable batteries needs to be ordered separately. See also **note below. Minimum 1 disposable battery is recommended to be ordered seperately. D01-B005-011	MeshGuard Detector, Sulfur Dioxide SO2 Range: 0.1 to 20 ppm Disposable batteries needs to be ordered separately. See also **note below. Minimum 1 disposable battery is recommended to be ordered seperately. D01-B006-011	MeshGuard Detector, Sulfur Dioxide SO2 Range: 0.1 to 100 ppm Disposable batteries needs to be ordered separately. See also **note below. Minimum 1 disposable battery is recommended to be ordered seperately. F04-B111-100	Mesh Router, 2.4 GHz Disposable batteries needs to be ordered separately. See also **note above. Minimum 1 disposable battery is recommended to be ordered seperately." F04-C111-100	EchoView, 2.4 GHz Disposable batteries needs to be ordered separately. See also **note above. Minimum 1 disposable battery is recommended to be ordered seperately." F06-3007-000	SolarPak pole/wall mount assembly replacement screws/washers/nuts. Pack of 10. 490-3027-002	Replacement keys for FMC-2000 controller. 430-4031-000-10	Replacement screws and washers for detector steel mounting bracket. Pack of 10. F03-3021-000	Replacement screws for PowerPak steel mounting board.